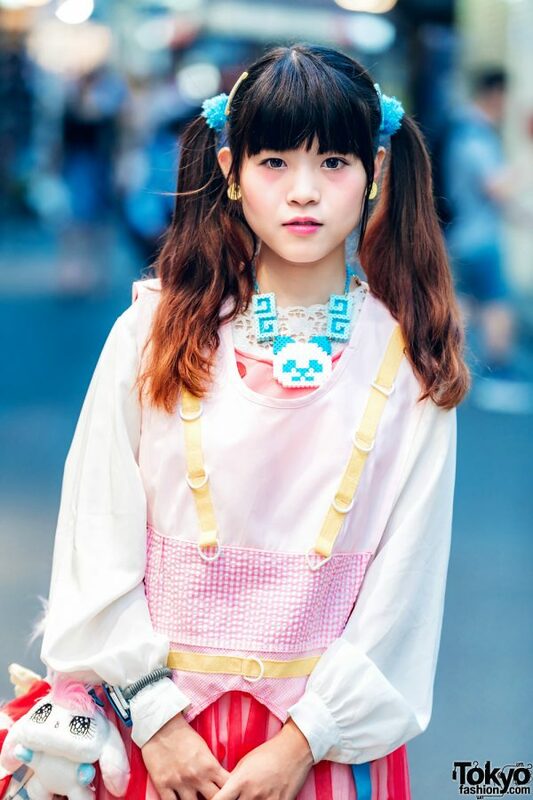 Kechan is a kawaii fashion loving girl from Taiwan who we see around the streets of Harajuku several times a year. 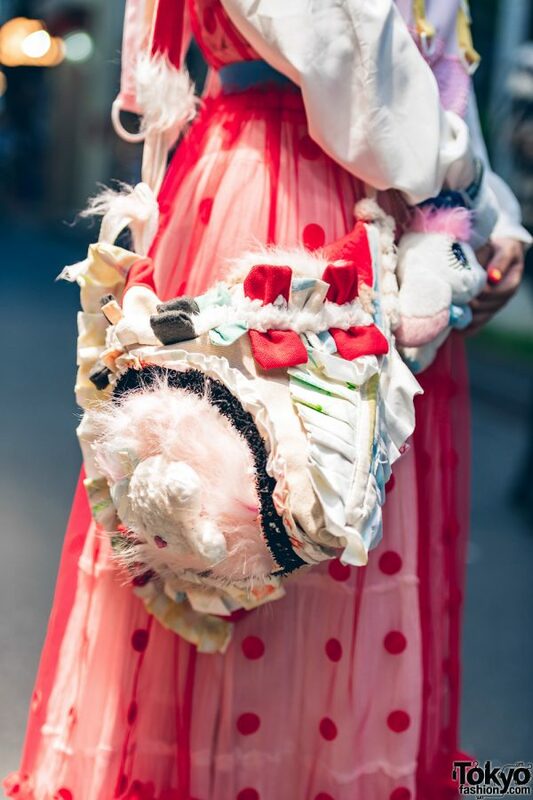 In addition to her cute twintails hairstyle, Kechan’s look here features a vintage sheer long sleeve top over a sheer polka dot dress by Zetsukigu, a vintage midi skirt, unmatched socks, and Tokyo Bopper platform shoes. She’s also wearing a bunch of kawaii accessories including Jenny Fax earrings, a Yurie Sekiya plush creature, a panda necklace made of beads, and a purse by Complex. 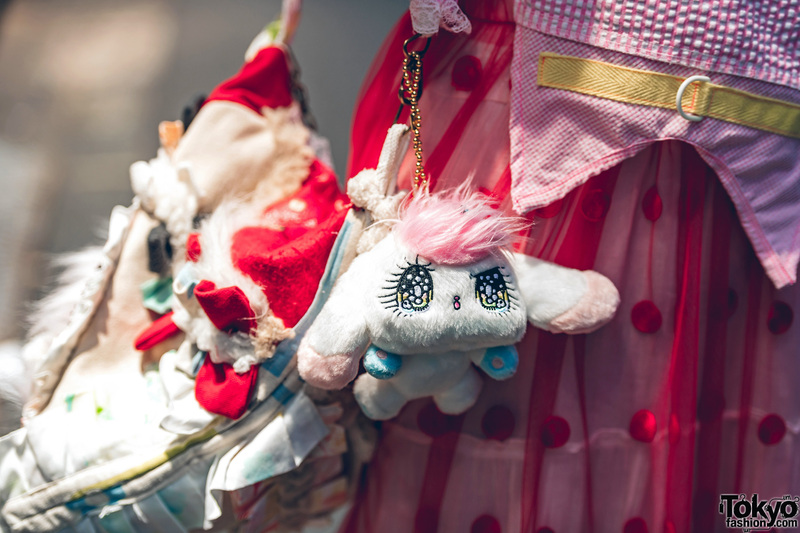 Follow Kechan on Instagram to see more of her kawaii street style.